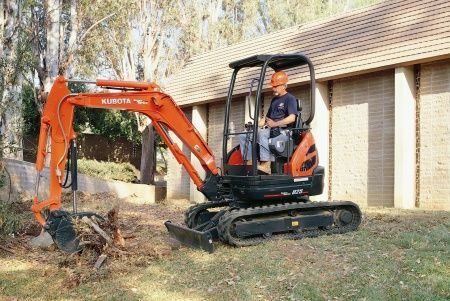 The Kubota U25-HGS Excavator comes with its larger engine and hydraulic pumps, and provides enhanced performance and faster cycle times. More travel motor power increases its traction force and balance and stability have been improved. 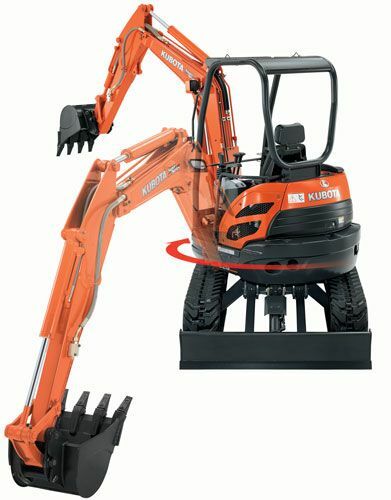 The U25 has a variable width track, and includes Kubota’s informative digital instrument panel. The U25 features a hydraulic track gauge that can be adjusted to between 3' 3" and 4'1". With the touch of a single lever, you can reduce the track gauge to navigate narrow spaces or increase it to improve functionality. 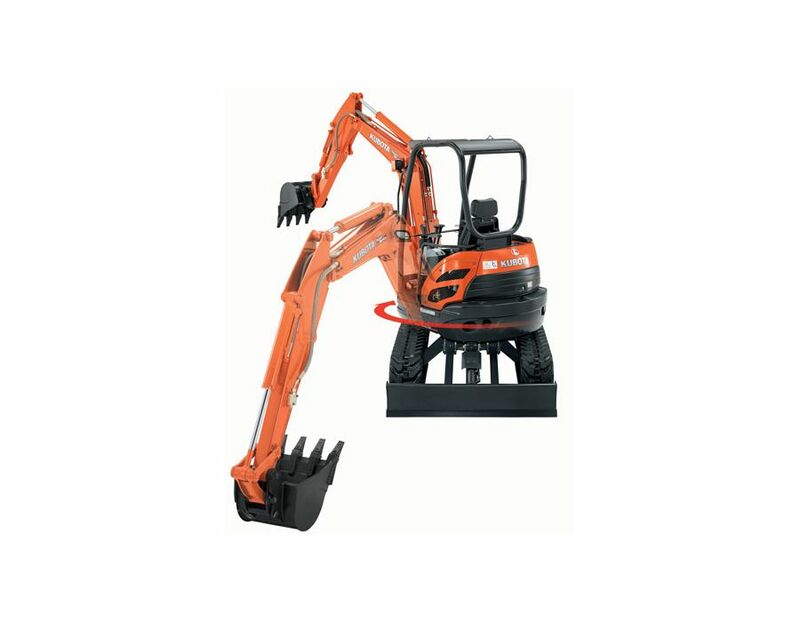 With a digging depth of 9'3" and auxiliary flow of 12.7gpm this excavator has it all. Digital Panel - Informative, interactive and functional, Kubota’s Intelligent Control System LCD panel accurately displays timely diagnostic readings and routine maintenance alerts. You’ll be kept informed of your current working conditions, engine RPM, temperature and oil levels. It even emits an alert when the tank is nearly full during refueling. These features help reduce downtime and costly repair fees. Easy Maintenance - Wide-opening covers provide easy access to the engine oil gauge, coolant reserve tank and dual element air cleaner. It’s also easy to access the fuel filter and water separator, battery, radiator and oil cooler. Two-piece hose connections for the dozer and boom cylinders simplify hose replacement, reduce downtime, and virtually eliminate the need to enter the machine for maintenance. Zero Tail Overhang - Zero-tail swing keeps the tail within the width of the tracks, so you can turn the house throughout its 360-degree turning radius without worrying about what is to the side or behind you. Zero-tail swing also ensures excellent balance, stability and fast operation, making the U25S ideal for jobs in congested areas. Straight Travel - The U25S’s Hydraulic Matching System ensures safer loading and off-loading by keeping the U25S traveling in a straight line while operating the boom. Double Flanged Track Rollers - The U25 features double-flanged track rollers and short-pitched rubber crawlers for improved undercarriage durability. The double-flanged track rollers help improve travel stability and performance, and the short-pitched rubber crawlers help minimize vibration during travel for improved operator comfort. 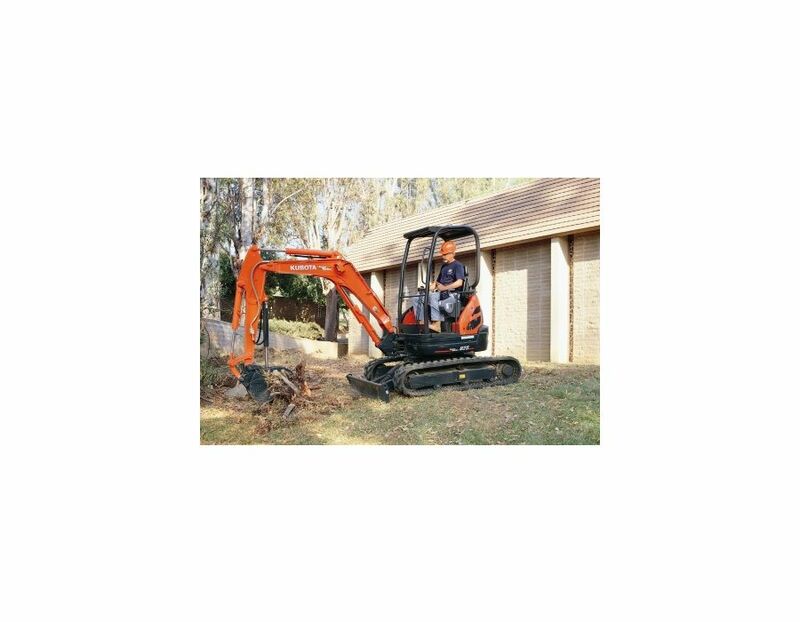 The Kubota Excavator U25-HGS is available at Kooy Brothers Equipment Ltd., located at 1919 Wilson Avenue in Toronto Ontario.